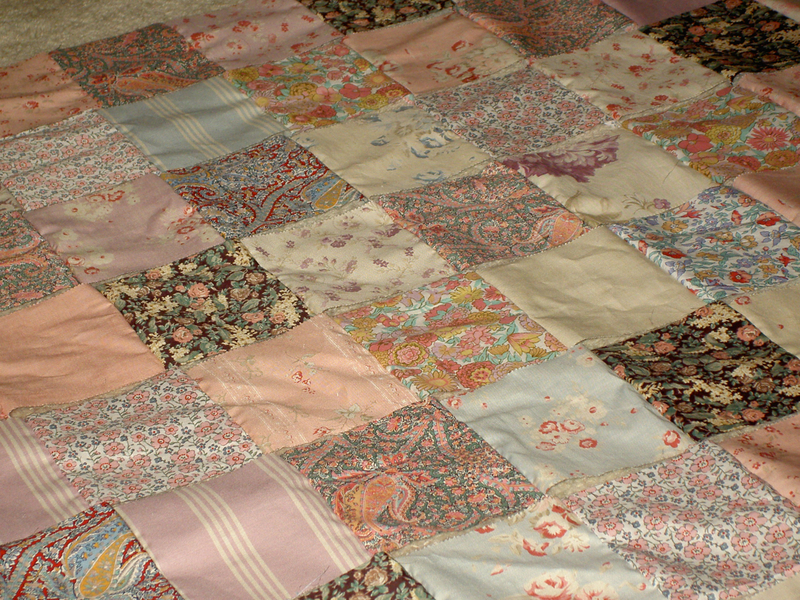 A sweet pile of Liberty squares, carefully chopped out of a lovely bag of thin lawn scraps from Ms E, suddenly found themselves next to a couple of Moda charm squares as I was rooting around my material. I thought they might work together. I had the nagging feeling the Liberty might be too busy alone, and was dithering about what to do about it, for, ahem… about six months. This chance encounter of two piles got me fired up, and I just zimmed along with a pile of each, adding bits as I went along.They sort of go together, I think. It certainly dilutes the Liberty-ness a bit, however much one adores those patterns. So terribly English, methinks. 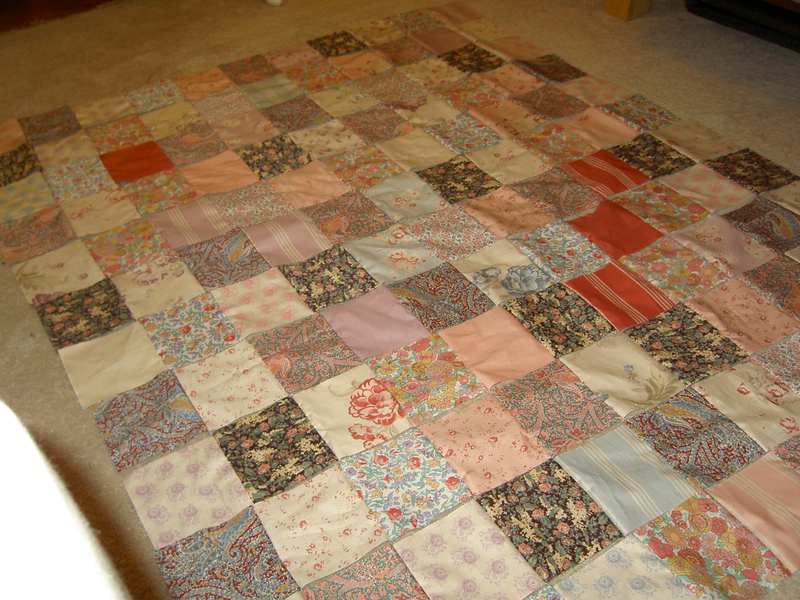 I just finished making a quilt almost identical to this, and faced the same dilemma. I decided to leave it the size it was. To add some character, instead of stitching in the ditch, come in an inch or so, and do this horizontally and then vertically. It will add some depth, age and interest but maintain that scrappy look you want to keep. Happy sewing!